As a life long resident of Venice, Louisiana, I can say that I know the waters of this area inside and out. As far back as I can remember, I fished here. As a kid, I used to take my Grandfather’s boat without his permission and come back with an ice chest full of reds and trout. When asked by my Grandfather how I was able to catch so many fish out on the dock as I had claimed, I would reply, “They just bit good.” I think he knew the real story then. 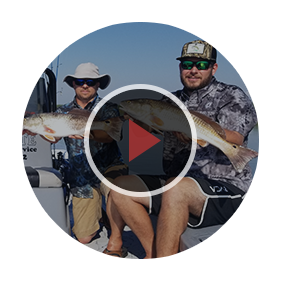 The point is, I’ve been here for a long time and I’m proud to be able to offer you a fishing charter experience here that you’ll never forget. ©2018 Reel Tite Fishing Guide Service.